While cleaning out some boxes, I discovered a collection of old glasses from my childhood. I don’t mean drinking glasses, but rather spectacles. Pulling out the bundle I noted their grotty lenses, a testament to my lifelong habit of pushing up glasses with my fingers and an inability to remember to clean them, ever. I’d like to think the presence of this discovery was due to the premonition of some earlier version of myself – an olive standing above the bin grasping her childhood visual aids and realising, “No, keep them. I will want to blog about this one day!” Alas, the reality is that I am a dreadful hoarder. The television show “Hoarders” sends me into fits of panic, not because I’m horrified at the lives of the characters, but because I relate. Either way and for whatever reason, I did keep this strange selection of spectacles. The next thing I noted about this collection was the design of the glasses themselves. As the kids say, or did so back in the 90s, FAR OUT. I always knew I was a nerd, but even with that knowledge I found it hard to understand what could have possessed me to choose such truly heinous glasses. 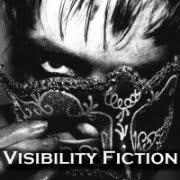 It wasn’t merely the massiveness of the frames, which surely must have covered my entire face, it was more than that. Not one, but two of the pairs were hexagonal. Yes, hexagonal. One had thicker frames than the other, but both could only have been chosen by the deeply and truly disturbed. It would be nice if I could blame my mother for this fashion disaster, but I can’t. Unfortunately for me, my mum was one of those generous mothers who allows her small child to make their own decisions/mistakes, no matter how such resulting atrocities are likely to reflect back on her. 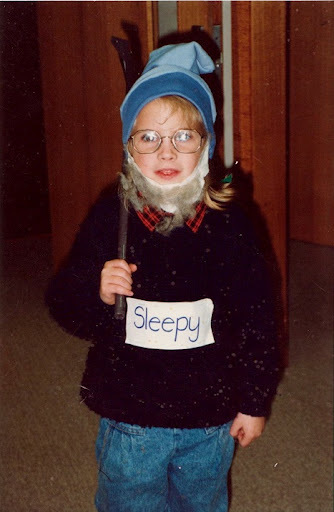 Along with the glasses, I found an envelope of old photos, including one of me in the thinner of the hexagonal frames and dressed, I assume, as Sleepy from “Snow White and the Seven Dwarfs”. I can’t help but see this picture as an image of a defining moment in my life. Unlike many of my friends, I never moved to contact lenses. I couldn’t bear deliberately poking myself in the eye. If beauty is pain, or even just discomfort, I really can’t be bothered with it. The truth is, I still look like a confused, lost and overtired dwarf, searching for Snow White, or more likely my keys, but unable to see due to the fingerprints on my glasses. *there is not actually any cake in this story. The cake is a lie. I am sad. I made the move to contacts but I wear them on the weekends only because I don’t care what people at work think about my face. Also, I have the old spectacle collection and every time I come across them, I yell, “WHY DO I KEEP THESE? !” and then I put them away and keep them some more. OMG. Mini-you and your glasses are super duper cute 🙂 Glasses are sooo cool because they automatically add extra IQ points to your overall intelligence. People wear them without lenses. They’re copying US! Us! Oh for goodness sake Ms Olive…you can’t spruik about cake and then not mention it. I demand redress! !